Daily Illuminator: More GURPS Goodness Back In Print! March 22, 2018: More GURPS Goodness Back In Print! 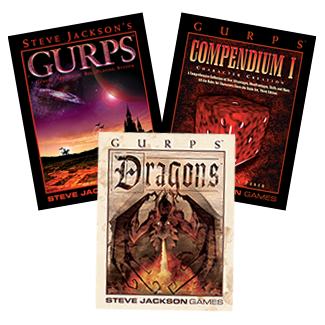 These volumes join the selection that's already available, including recently released classics of the GURPS Fourth Edition canon such as GURPS Banestorm, GURPS Supers, and GURPS Powers. You're just a few clicks away from having these print-on-demand books delivered to your door. And to see what else is available (including what we've got planned for the rest of the year), check out the GURPS On Demand page!